October is National SIDS, Pregnancy, and Infant Loss Awareness month here in the United States. One of the biggest fears new parents have is SIDS, or Sudden Infant Death Syndrome. Though the rate of SIDS related deaths is currently at an all-time low, unexplained, sleep-related death still claims as many at 4,500 babies a year. First Candle, an organization devoted to preventing infant death, reports that 80-90% of unexplained infant deaths are the result of unsafe sleep practices. These deaths are likely preventable. Though the cause of the remaining deaths is unknown, research is underway examining any genetic components that could be related to SIDS. The loss of even one child is heartbreaking; however, the rate of death from SIDS has declined an amazing 66% since 1990. 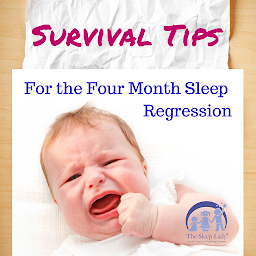 This decline began with the introduction of the Safe Sleep Guidelines by the American Academy of Pediatrics. These guidelines have changed and been expanded a little over the years. Here is what is recommended today. Research has shown that having a healthy pregnancy can go a long way towards preventing SIDS. Make sure to avoid cigarettes, alcohol, and other drugs during your pregnancy. Regular prenatal care is vital to getting baby on a healthy track from the start. Always lay your infant under 12 months down on their back when you lay them down to sleep, whether for naps or at night. Numerous studies have shown that children laid down on their stomachs or sides are more likely to succumb to SIDS than those who sleep on their back. It’s important to note, if your infant is mobile enough to roll over to their stomach and back once you have safely laid them down, you can let them continue sleeping that way. You do not need to continually flip them over if they have developed the skill to do so on their own. While adults have the ability to move away or vocalize the fact that smoke is bothering them, an infant does not. They may be especially susceptible to breathing difficulty as their lungs are still developing. If you smoke, it’s best for you and your baby’s health for you to quit. Ask any relatives or friends to refrain from smoking around the baby or handling them after smoking. Don’t put baby to sleep in a bed with stuffed animals, fluffy bumpers, and heavy or loose blankets. While these look cute, the danger they pose to your baby is not worth the risk associated with leaving them in the crib. The current recommendation is for baby to be put to sleep on a flat, firm surface separate from the parent’s bed. Any bassinet, crib, or play yard should be checked against recalls to make sure it is safe. Drop side cribs, in general, have been recalled, though most companies will send you a repair kit to make them safe if you have one left from an older child. While the AAP does not recommend bed-sharing/co-sleeping, they do recommend your baby sleep in the same room as you. Having your baby in a separate sleeping area within arm’s reach of your bed makes it easy for you to retrieve baby for those middle of the night feedings and keeps them close by for you to watch over. The Washington Post recently wrote about the AAP’s new rules on infant sleep for parents to consider given that often new parents get sleepy when feeding their baby during the night. The AAP recommends that it is safer to feed your baby in a bed than a chair or couch where a parent can either drop the baby or the baby can accidentally get stuck in between cushions on the couch. As a result, the AAP is offering guidelines on how to make an adult bed safer for babies so that if a parent does fall asleep while feeding the baby in their bed the sleep environment is safer. This makes sense to me as we know from this study that reports that “at least 60% of mothers bedshare and that this occurs throughout the first year”. Here is another article you may find helpful on safe bedsharing. Studies show that breastfeeding your baby as long as you are able reduces the risk of SIDS. Make sure your baby is dressed appropriately for the temperature. Young babies have a hard time regulating their temperature, so it’s important to keep their sleeping area cool. A good general rule is to have baby sleep in one layer more than you are comfortable wearing. Check to make sure they are not sweating and that baby’s chest doesn’t feel too hot. Hands and feet are not a good measure of temperature. Studies have shown that babies who use a pacifier while sleeping have a reduced risk of SIDS. If you’re breastfeeding it’s important to make sure feeding is well established before you offer a pacifier, which generally takes 6-8 weeks. Don’t be alarmed if your baby isn’t interested in the pacifier, though. You can continue to offer it, but remember that some babies just aren’t keen on taking a pacifier. In light of the research surround SIDS, many companies have sought to do their part in providing safe sleep products that parents can feel confident using. Wonder Bumpers: These provide a comfortable crib environment while removing risks associated with traditional crib bumpers. Get 20% off with code SAFE20. Bitta Kidda: These wearable sleep sacks with attached lovies give your baby something to cuddle while removing the risk associated with loose blankets. First time buyers enjoy 20% off. Halo Bassinest: This bassinet brings swivels to bring baby closer to you while keeping them safe in the own sleeping space. Owlet: This wearable heart rate and pulse ox monitor alerts parents if baby stops breathing.